Lakshay + Gurleen – Love At First Like! Delightful love story of Instgrammers Gurleen and Lakshay who fell in love at first like! 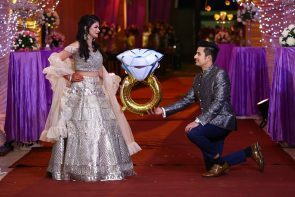 Vineet Ki Pooja – Mesmerizing Ananta Udaipur Wedding! 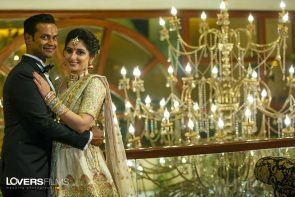 Pooja and Vineet tied the knot at the resplendent Ananta Udaipur resort! Go the paperless wedding invitation way-save time, money and trees! We tell you how! 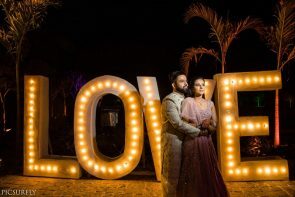 Dr. Priyanka and Vijay's engagement photoshoot at a Jammu Resort had a silver-grey-beige palette with matching decor! 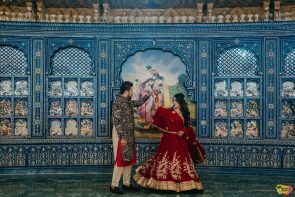 East Meets West Wedding in Ranchi! This stylish fete at Ayush Resort Panvel is full of fun, colours and creativity! MUA-our very own Kajol R Paswwan! 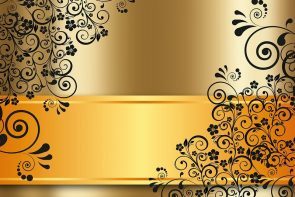 Wedding in Hotel 5 Flowers Kota Rajasthan! Photographed by Lovers Films Wedding Photography!